February 27, 2013 by Kristen H.
Charlottesville is a town filled to the brim with great restaurants. In fact, many residents boast that the city has more restaurants per capita than the great New York City. With all of these options, UVA students are never far from an excellent meal. 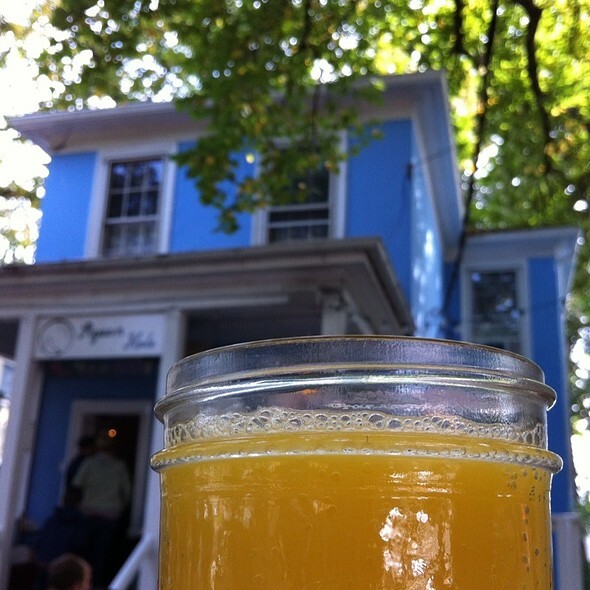 However, when it comes to brunch, there is one location that captures the hearts of students and townies alike. 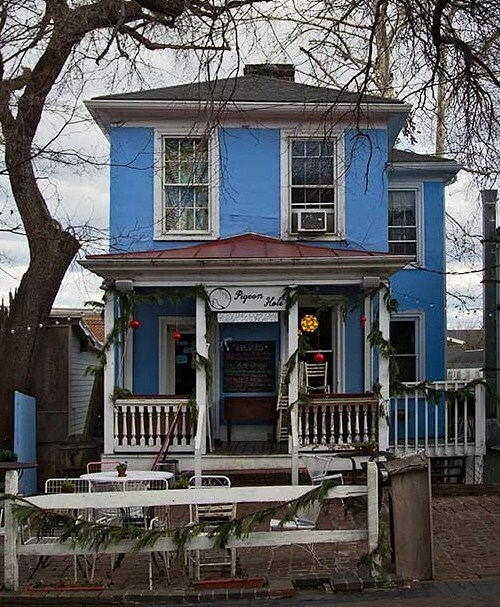 The Pigeon Hole’s quirky character, delicious food and close proximity to Grounds make it a regular go-to brunch spot for Charlottesville residents, and give it the honor of being the only brunch spot to earn a place on the List of 113 Things to Do Before You Graduate. The Pigeon Hole is located on Elliewood Avenue, a short walk from Grounds and the historic UVA corner. The restaurant opened in early 2011 after taking over a “cursed” location that had changed hands many times over the years. However, it looks as though Pigeon Hole won’t be closing anytime soon. The restaurant embraces a quirky vibe, hiring many tattoed, eclectic employees and serving drinks out of mason jars. I have always been happy with the waiters and waitresses at Pigeon Hole. Despite the long waits, the waitstaff is upbeat and friendly, making for a positive experience. The long waits are definitely an issue at Pigeon Hole, especially in the winter. I recently stopped by with a small group so that I could enjoy brunch and have updated pictures for this blog post. However, the wait on a Sunday morning was over an hour, and in such a small location, there is no inside waiting area. When the weather warms up and the patio opens, Pigeon Hole is able to accommodate more patrons. If you have still not tried brunch at Pigeon Hole, I recommend waiting until it gets warmer so that you will have an easier time getting a table. 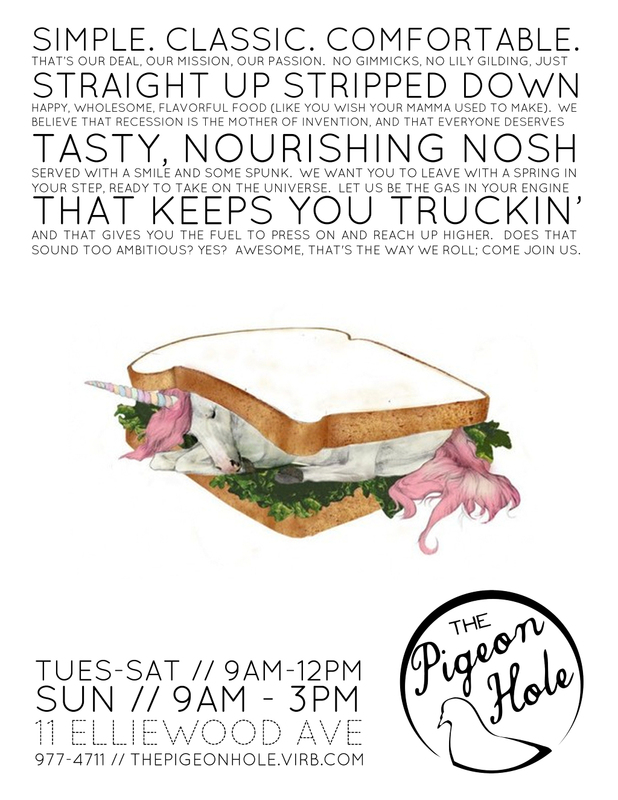 If you can’t wait, make sure to go to Pigeon Hole earlier in the morning or during weekdays–the only issue with weekdays is that some menu items are not available. The food at Pigeon Hole is excellent—I’ve tried a wide variety of dishes, and I have been satisfied with each one. You can’t go wrong with anything you order here, but I have a few favorites to recommend. Poached eggs on a bed of fresh wilted spinach with hollandaise and crab meat, served with grits or hashbrowns. This is typically my go-to order. It is not available on weekdays, so make sure to go on a Saturday or Sunday if you plan to go for this one. After growing up in Maryland, I’ve become very critical of dishes containing crab—I always feel like other states can’t get it right. 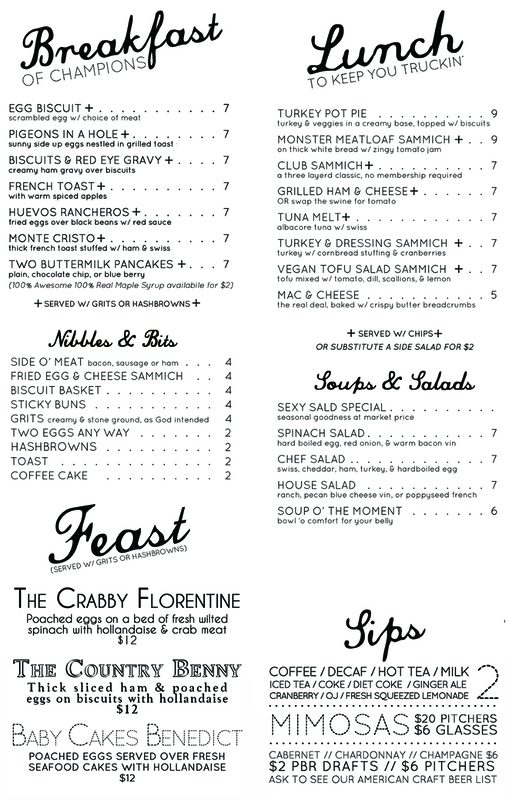 The Crabby Florentine takes the cake, though—the eggs are always poached perfectly and the hollandaise is to die for. Thick French toast stuffed with ham and swiss, served with grits or hashbrowns. I have only had this dish once, but it is the go-to order for many of my friends. The French Toast is cooked to perfection, and the swiss is perfectly melted to make this mouth-watering menu item. Plain, chocolate chip or blueberry, served with grits or hashbrowns. Amazing. I got the blueberry pancakes the first time I went to Pigeon Hole, and they literally may have been the best pancakes I’d ever tasted. Pigeon Hole does a great job with the simple classic, and the fresh blueberries added just the right touch. You really can’t go wrong with anything you order at the Pigeon Hole. I highly recommend it—if you still have not crossed this one off of your bucket list, make sure to do so before graduation! Egg biscuits are always my go to brunch item!